Home » Luigi » Ta Da here’s Luigi ! My beloved dog !! .. and no he is not always that clean or obedient . 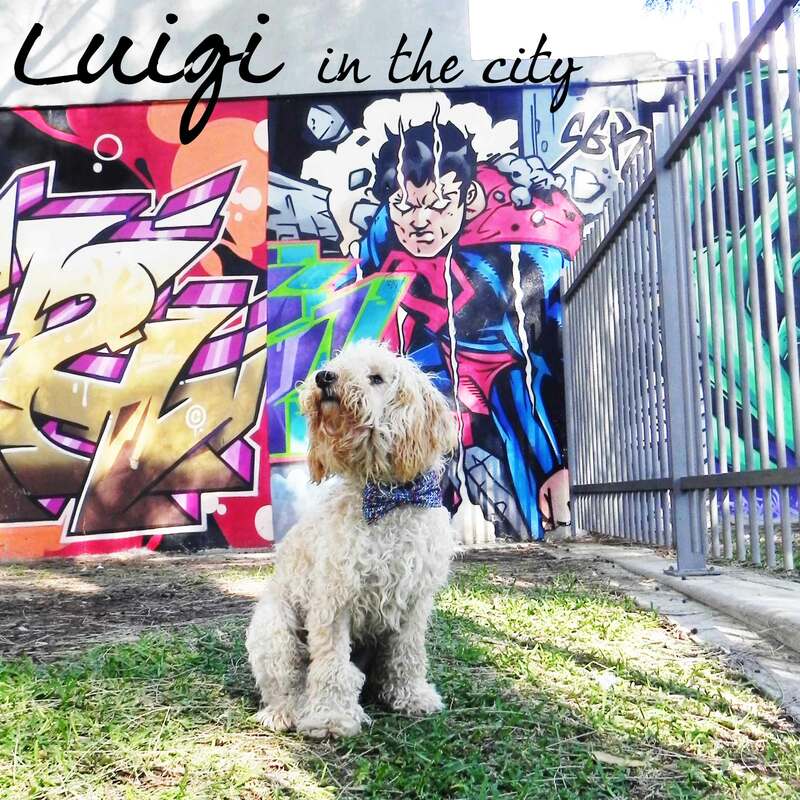 What the photo does not tell you is that I had to empty a Ziploc full of treats to get one good shot of him in front of that amazing graffiti wall in Woolloomooloo. GOOD BOY LUIGI ! If you stay tune you will probably read a lot about this hairy bloke – so let me tell you a bit more about him. How old his he ? Almost a year now ! What does he love ? Luigi loves peanut butter, cheese and chicken necks the most. He loves to swim but hates to take a bath. He loves to play hide and seek ( even tough we live in a loft ! He gets so excited and pees in his pants when it is time to go to the dog park or visit my parents in the countryside. 4 Comments on Ta Da here’s Luigi ! Luigi looks ALOT like my aunt’s fellow, Spartacus! He is a GoldenDoodle. A Golden Retriever/Standard Poodle! Perhaps Luigi is a smaller breed of Poodle and Golden?? Before I even read this specific page I immediately thought he was a GoldenDoodle. Thanks Courtney! Perhaps that’s what he is ! I get that a lot. I agree with Courtney, he’s a Golden Doodle, (maybe a mini Golden Doodle). I came across a picture of Luigi from your blog on Pinterest. He looks just like my dog. She is a min Golden doodle, she is 2 and only weighs 21 lbs. That is my guess. Your Luigi is super cute!!! I agree, a mini Golden Doodle!! Just adorable! !